PARENTS who choose not to vaccinate their children are relying on Dr Google, not advice from a qualified doctor, research has found. The National Survey of Australian Public Attitudes to Vaccination found 50% of people who opposed vaccination got their information online and 53% of parents had concerns about vaccinating their children. Young parents were significantly more likely to rely on online information or advice from family and friends and not their health care provider. Of those parents who supported vaccination, 88% relied on information from a health professional. Nationally the survey found 92% of parents got their children vaccinated. Key information that the surveyed parents requested was about vaccination side effects, risks and safety testing of vaccines. 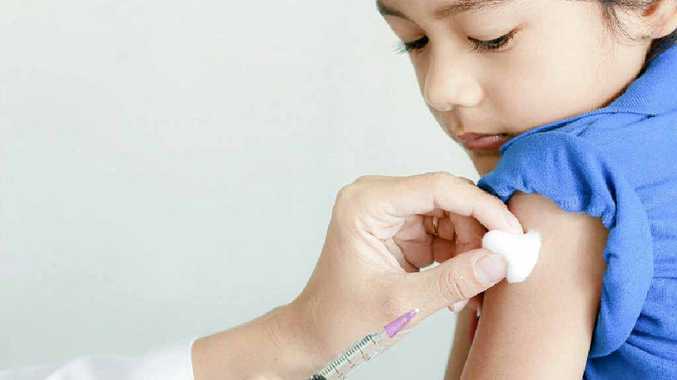 With a vaccination rate of less than 50%, the 2482 postcode covering towns including Mullumbimby has one of the lowest national vaccination rates, according to a National Health Performance Authority report. The report found between 46% and 49% of children aged one, two and five in the 2482 postcode area were vaccinated, well below the state average of 90%. To help prevent the spread of preventable diseases, NSW Health recommends a vaccination rate in children of 95%. Professor Mark Kendall of the Australian Institute for Bioengineering and Nanotechnology said developers of vaccines needed to work harder to provide a complete picture about vaccination to parents. "With the young now sourcing so much information from the internet, we need to package this information based on science in ways online that are more accessible to them," he said. NSW Health Director of Health Protection, Dr Jeremy McAnulty recommended parents vaccinate their children on time to ensure they are protected from serious diseases. "NSW has recently experienced outbreaks of whooping cough and measles," he said. "By vaccinating, you are protecting your child from serious diseases, as well as protecting the broader community." Shelley Bridgeman: Does searching symptoms make you sick?